Need a break from the office and looking to add some excitement to your lunch hour? then why not take a break from your day to join our 5-a-side lunchtime league in the heart of London Bridge. Hosted at the brilliant Marlborough Sports Garden venue on a brand new 3G pitch the 30 minutes games mean you have more than enough time to get active during your lunch. 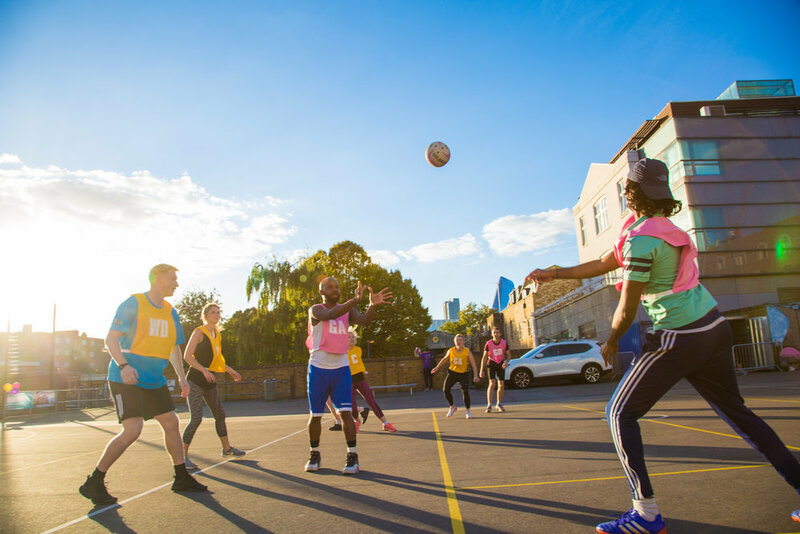 Marlborough Gardens is the most unique sporting facility in London Bridge offering you the perfect place to host a corporate event for your business. With use of the whole venue including a netball court, brand new 3G football pitch and a sand court this venue has it all. Along with seating and bench areas there is also power on site so you can transform this fully outdoor venue to suit your needs.